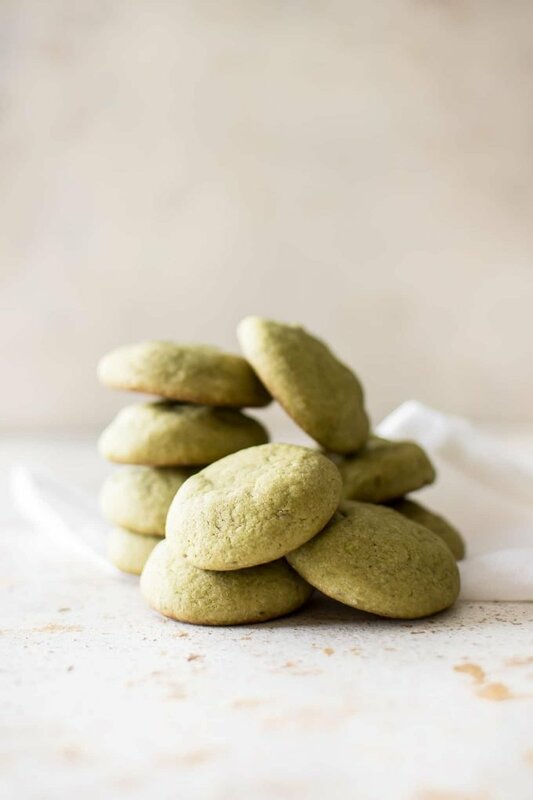 These vegan matcha cookies are flavored with the antioxidant-rich green tea. The green color would make these the perfect dairy-free vegan St. Patrick’s Day cookies! I based this recipe on my vegan sugar cookies. This recipe is pretty much the same, but I wanted to infuse matcha into it. A fine powder made of specially-grown green tea leaves. It’s very concentrated and contains many antioxidants. It’s typically grown and produced in Japan. It’s really easy! Just add the matcha powder to your recipe (I add it to the dry ingredients). It’ll infuse your baking with a green tea flavor and a pretty green color. These matcha green tea cookies remain soft and perfect as long as you keep them in a tightly sealed container. Hope you love these matcha sugar cookies! 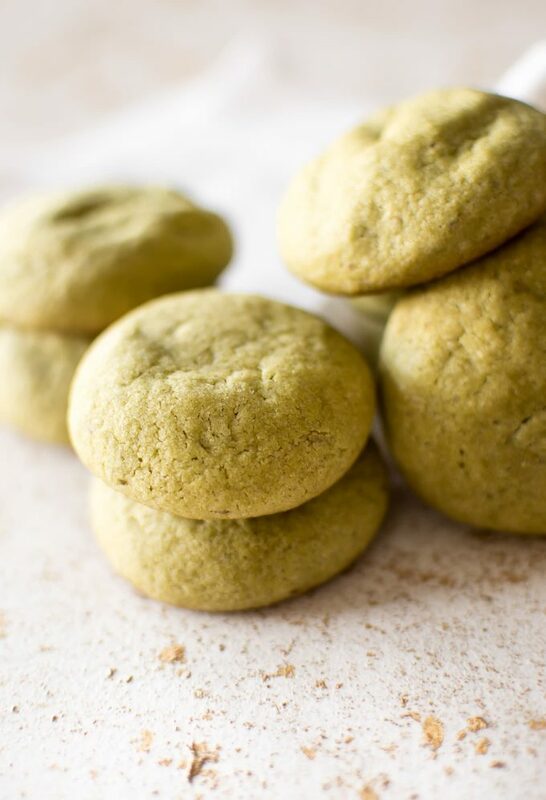 These vegan matcha cookies are flavored with the antioxidant-rich green tea. The green color would make these the perfect dairy-free vegan St. Patrick's Day cookie! Prepare your flax egg by mixing the ground flaxseed and water in a small bowl. Set it aside, and prep the rest of your ingredients so it has the chance to sit for 10 minutes or so. Preheat oven to 400F and move the rack to the middle of the oven. Line a baking sheet with a Silpat non-stick mat or parchment paper. Cream the vegan butter and sugar together in a large mixing bowl using an electric mixer on a low speed. Add the flax egg and vanilla extract to the bowl. Mix on low. 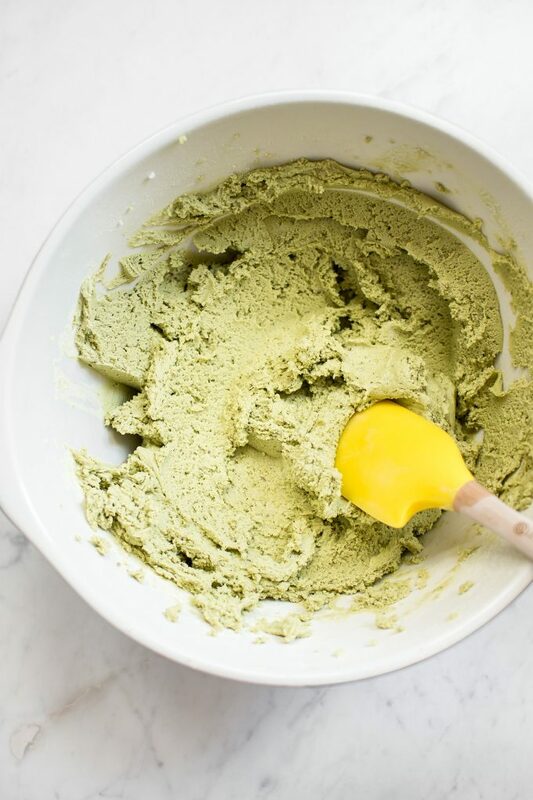 Whisk the flour, baking powder, matcha, and salt together in a medium bowl. Gradually add the flour mixture to the butter/sugar mixture, mixing it on a low speed until all the flour is incorporated. Gently roll the dough into 1.5" balls. Place the balls at least a couple of inches apart (cookies will spread) on the baking sheet. I bake two batches (one batch at a time). I found 11-12 minutes was perfect to get soft cookies (I like slightly undercooked middles) without the bottoms being too brown. You may need to adjust cooking time as needed based on your preferences. Transfer cookies to a cooling rack and then transfer them to an airtight container as soon as they've cooled a bit so they remain nice and soft. I use vegan buttery sticks (2 of them to make 1 cup). I like to let the vegan butter sit on the counter for 10-15 minutes prior to making this recipe. You don't want it to sit too long - it softens much faster than normal butter. I used ground brown flaxseed, but you could also use the golden variety. I also sometimes see it labeled as "milled flaxseed" and "flaxseed meal". I used this brand of matcha. If you are REALLY into matcha flavor, add 2 tbsp instead of the 1.5, and they will also be greener in color. If you want a more subtle flavor, add 1 tbsp. I tried to find a good balance between color and flavor. Make sure you spoon and level the flour vs. scooping it so you don't end up with too much. Love matcha!! Love these cookies! I love matcha too Natasha! Can’t wait to bake a batch of these! Thanks so much!! Hope you enjoy them. Love matcha! These are definitely fun for St. Patrick’s Day! We were talking about matcha today, gotta make these! Thanks!! Great minds think alike haha. 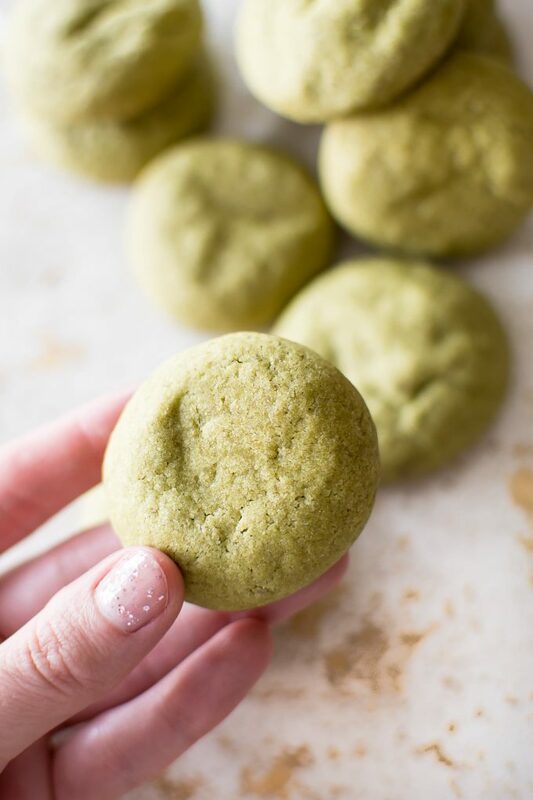 I love green tea, so I already know I’ll love these matcha cookies too. I bet they’re delicious! Love using matcha in baking! These are such a gorgeous hue of green! Thanks so much, Leign Ann!! Can i use coconut oil instead of vegan butter? Hi! You could give it a try, but I’ve never baked with coconut oil before, so I really can’t speculate on what the results will be. 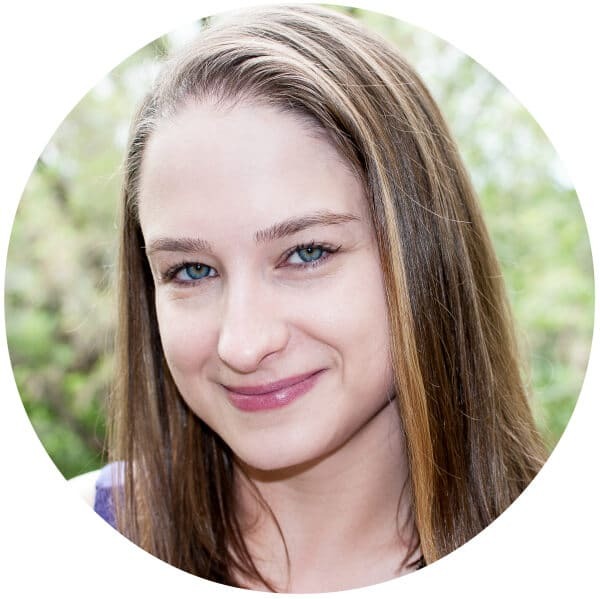 Let me know how it goes – I’m curious!